Lacoste presented Eau de Lacoste L.12.12 Pour Elle, a new collection of feminine fragrances that match the men's L.12.12 collection. The collection is inspired by Lacoste pleated tennis skirts and consists of three fragrances: Elegant, Sparkling and Natural. Each edition represents a different mood of the Lacoste woman. 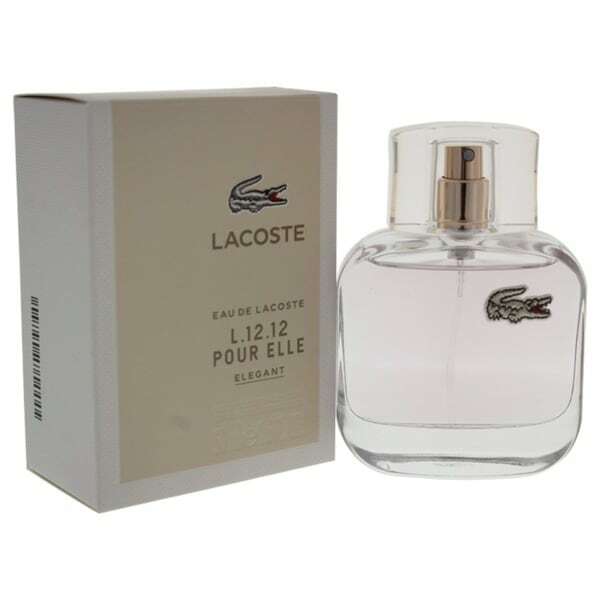 Eau de Lacoste L.12.12 Pour Elle Elegant is announced as a classic scent for a self-confident woman, always fresh and relevant. Citrus oils, cassis bud and pink pepper start the composition brightly. Elegant is toned down by the heart of mimosa which provides softness and femininity together with violet and lily of the valley. Vetiver in the base creates a warm sensuality and an edgy signature that is complemented by notes of vanilla and heliotrope.